LEDlights and monitors, and quality solar panels were born of a revolution in semiconductors that efficiently convert energy to light or vice versa. 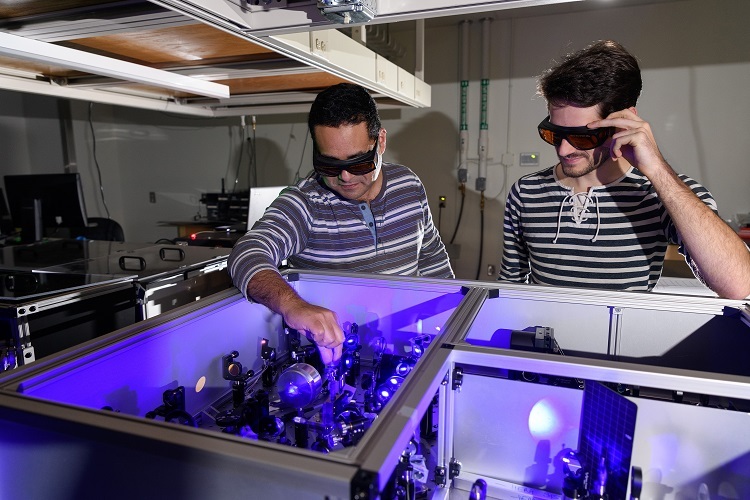 Now, next-generation semiconducting materials are on the horizon, and in a new study, researchers have uncovered eccentric physics behind their potential to transform lighting technology and photovoltaics yet again. It takes high temperatures to make most semiconductors in small quantities, and they are rigid to apply to surfaces, but HOIPs could be painted on to make LEDs, lasers or even window glass that could glow in any colour from aquamarine to fuchsia. Lighting with HOIPs may require very little energy, and solar panel makers could boost photovoltaics’ efficiency and slash production costs. The study was co-authored by Félix Thouin (co-first author), David A. Valverde-Chávez (co-first author), and Ilaria Bargigia, all of Georgia Tech; Claudio Quarti and David Beljonne of the Université de Mons in Belgium; Daniele Cortecchia and Annamaria Petrozza of the Istituto Italiano di Tecnologia. Interview with B. Raju, Managing Director, Surya Roshni Ltd.